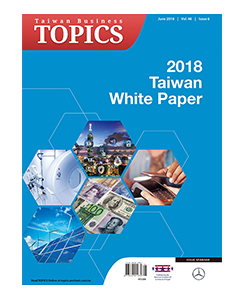 The June issue of Taiwan Business TOPICS includes the annual Taiwan White Paper, an assessment of Taiwan’s business climate in both the macro level and sector by sector. The paper summarizes AmCham’s recommendations to the government and public on legislative, regulatory and enforcement issues that have a major impact on the quality of the business environment. The White Paper is the most important tool that AmCham members use to communicate with the Taiwan government, and is used all year long.